The nation’s largest lesbian, gay, bisexual and transgender (LGBT) civil rights organization is joining forces with Club Skirts Dinah Shore Weekend, the nation’s largest lesbian event. The Human Rights Campaign (HRC) is coming onboard as a full sponsor at the upcoming 23rd Anniversary of the largest lesbian event in the world. 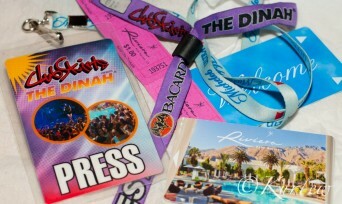 The events are scheduled to take place April 3-7, 2013 in Palm Springs, Calif. Embracing the “party with a purpose” philosophy for more than two decades, Mariah Hanson, founder and promoter of Club Skirts presents The Dinah, has relentlessly travailed to support LGBT rights. And this year will be no different. Hanson has sat on the Board of Equality California for numerous years and is putting the focus on HRC to rally more lesbians around their endeavor. Posted December 25th, 2012 & filed under Travel.